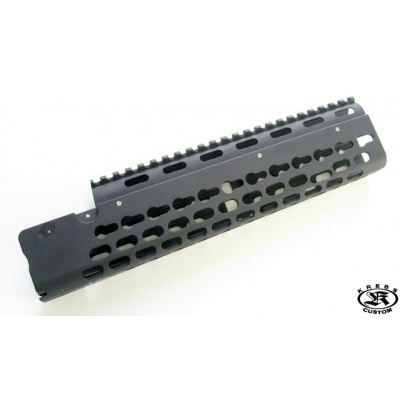 Introducing the Krebs Custom "UFM Keymod Rail System" for AK rifles! 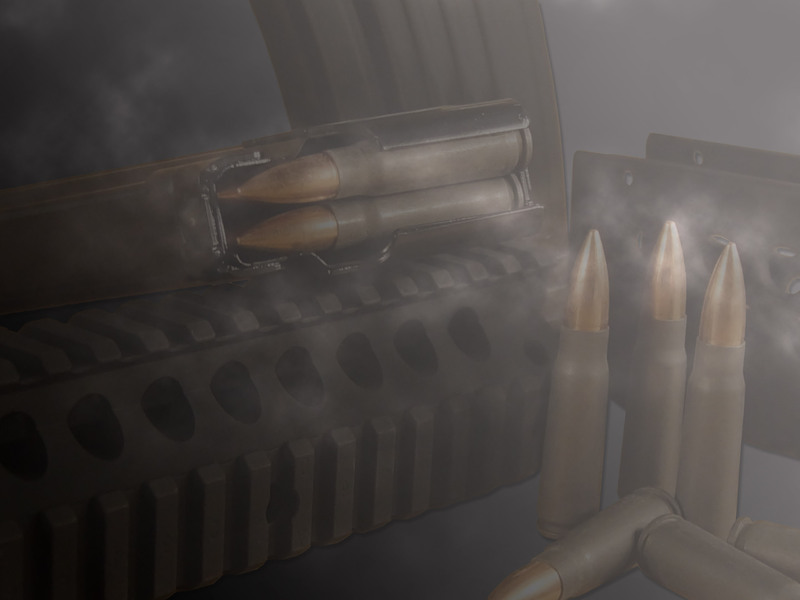 This revolutionary system, which is light-years ahead of its competition, gives you unlimited possibilities for mounting slings and accessories without major modifications to your AK rifle! This part allows you to keep your fore-end flange! 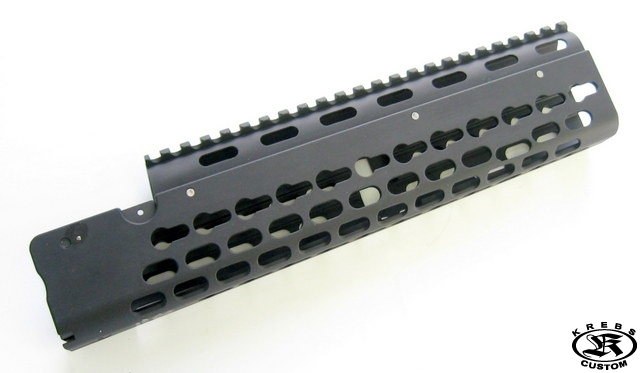 Designed to be light in weight, the 6061 T6 aluminum construction and "Keymod" mounting system allow for quick installation of rail sections wherever the shooter desires. 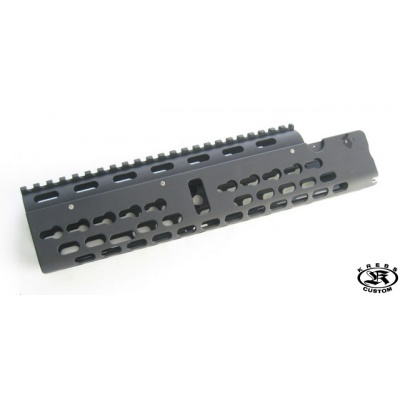 The ultra-sturdy design allows for solid optic mounting on the 1913-style top rail, while still allowing easy, tool-less field-stripping for rifle cleaning and maintenance, with the top returning to "zero" when replaced.